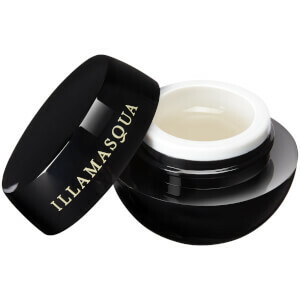 Create endless make-up looks with the Illamasqua Sealing Gel; a primer and setting gel that transforms powder products into a water-resistant paste. Ideal for brow products, eyeliner or eyeshadow, the fast-drying formula ensures superior longevity, whilst intensifying color so you can achieve a bolder, statement look. Can also be applied before foundation for a smoother, more refined finish. Sealing Gel can be mixed with any powder product to create a paste like texture. To ensure brush control work fast as the Sealing Gel has a fast dry effect. Aqua (Water), Acrylates/Octylacrylamide Copolymer, Propylene Glycol, Polyester-5,Triethanolamine, Phenoxyethanol, Methylparaben.&Nbsp;Hydroxyethylcellulose,Ethylparaben, Propylparaben. So much better than using water to create eyeliner from your eyeshadow. At first I was surprised by the small bottle it comes in but you only need a tiny drop so this will last a while. Does a great job of keeping the shadow/liner in place all day. I wear contacts & it doesn’t bother my eyes at all. Everyone should have this in their make-up bag! (I deducted a star as I have only used this a couple of weeks).